While Gotham is currently on hiatus, fans are anticipating what to expect in the show's fourth season. But it appears that they shouldn't get their hopes up about a fan-favorite guest star - Jerome Valeksa (Cameron Monaghan) - becoming a regular cast member. Drew Powell, who has become known for playing Butch on the series, spoke at a recent Heroes and Villains Fan Fest about the possibility of the fellow Gotham villain returning to the show in a larger role. "I feel like Jerome is a solo artist." Powell explained. "He's not one to team up with anyone. Early on he had his Maniax, but I think the evolution of that character is he's a unique psychopath/sociopath, both. So I don't see any teaming up with Jerome." Powell cited Jerome's arc in the show's third season - which saw the character resurrected and re-faced - as an example of how to involve the Joker-like character in the show. "That's part of the deal with him which was interesting; how they kind of had a Jerome section in the middle of our season. And part of that is the actor has another job [on Shameless], and the other part is that character is intense. 22 episodes is a lot of TV... So those characters that are super intense... you can't use them all the time or it stresses people out. So yeah, I think when Jerome comes, it's all about Jerome." Gotham returns in the fall on Fox. 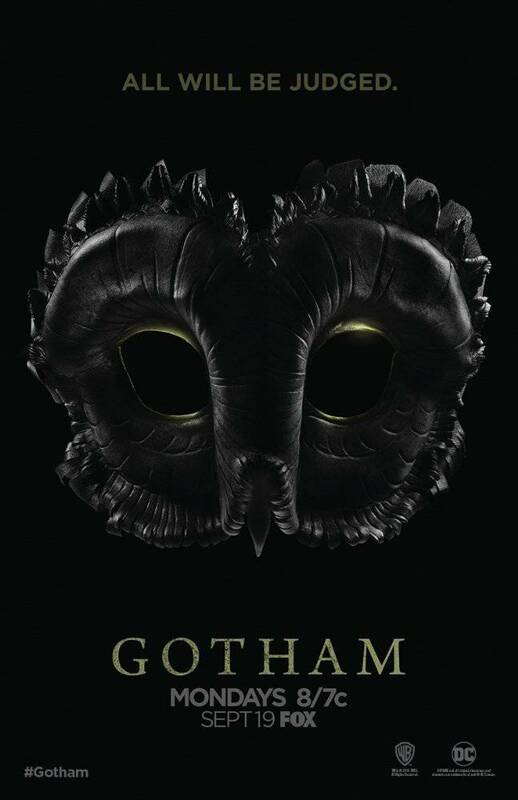 DESTINY AWAITS - With the deadly virus spreading throughout the city, the search for the antidote continues, as Fish Mooney (guest star Jada Pinkett Smith), The Riddler and Penguin reveal plans of their own. Bruce meets Ra’s Al Ghul (guest star Alexander Siddig) and completes his last task in order to fulfill his destiny, but realizes he can’t let go of his past. Meanwhile, Gordon tries to win back Lee, and past alliances within Gotham City are broken, while new alliances are formed.